The Joyce Green Hospital was erected by the Metropolitan Asylums Board in 1901-3. It was located at Long Reach near Dartford, near to the MAB's hospital ships complex which it was intended to replace. The ships were proving increasingly unsatisfactory: they had a high maintenance cost and were prone to fires; there were difficulties in preventing delirious smallpox patients throwing themselves overboard; hazards arose from bad weather and the possibility of collision with other ships; an increase in the number of smallpox beds was needed which was not possible on the existing ships. In the autumn of 1901, after construction of the Joyce Green had begun, London suffered a sever outbreak of smallpox. Since the new hospital was nowhere near being able to take in patients, two temporary smallpox hospitals were erected in the vicinity. The Long Reach, which opened in February, 1902, was located on land immediately to the east of the Long Reach Pier buildings. 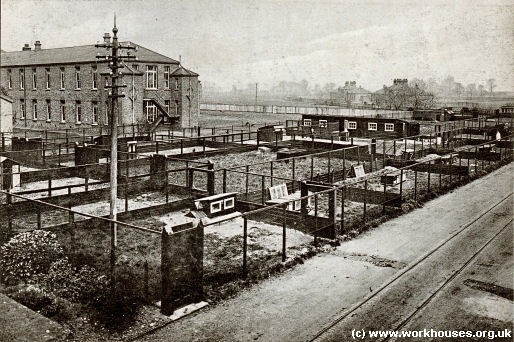 The Orchard, opened later in 1902, was situated to the north-west of the Joyce Green site. 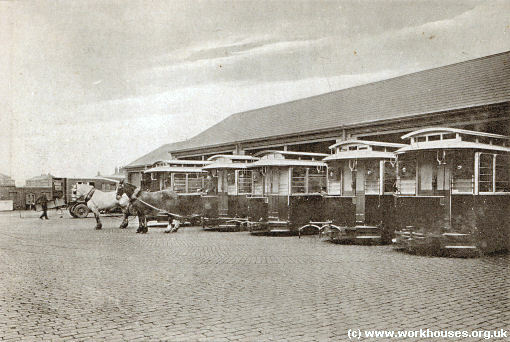 A horse-drawn tramway for ambulances was erected to link the all the hospitals to the terminus of the river ambulance service at Long Reach Pier. The Joyce Green, like the Orchard and Long Reach hospitals, was designed by the MAB's architects A & C Harston. The hospital's location and layout are shown on the 1910 map below. Joyce Green Hospital site, 1910. 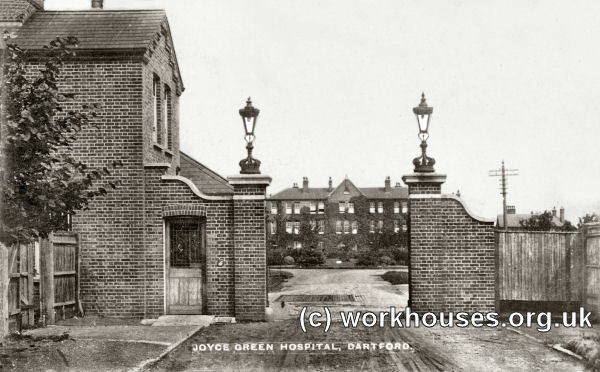 Joyce Green Hospital entrance from the south, c.1910. The hospital was arranged in a symmetrical layout with the twenty-two ward pavilions arranged in an echelon either side of a central spine of administrative buildings. This formation was used to avoid building over the line of the main West Kent Sewer which crossed the eastern side of the site. Males were accommodated at the east of the site and females at the west. 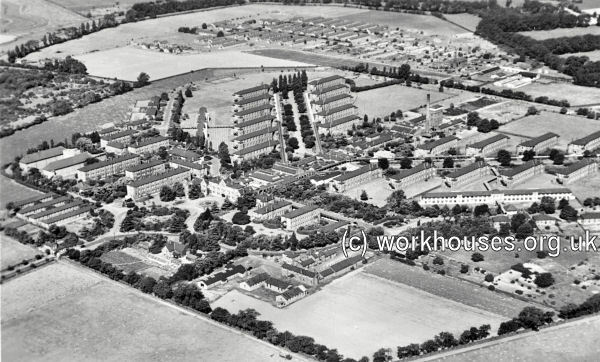 Joyce Green Hospital aerial view from the south-west, c.1930. 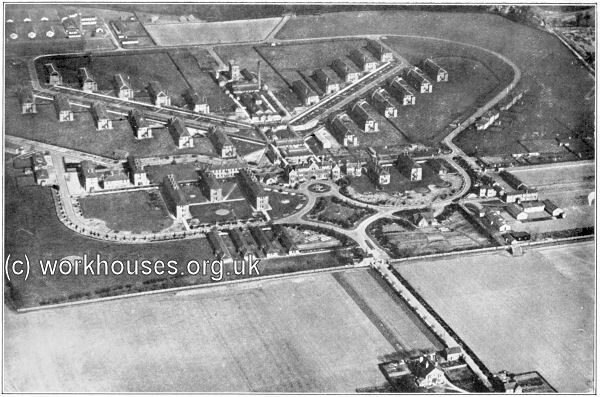 Joyce Green Hospital aerial view from the south-east, date unknown. The main administration block lay at the south of the site. It was three storeys high and had a central archway leading through a store yard behind. The building contained offices and committee rooms on the ground floor, the committee dining room on the first floor, and some senior staff quarters on the upper floors. Joyce Green Hospital main approach driveway from the south, c.1910. 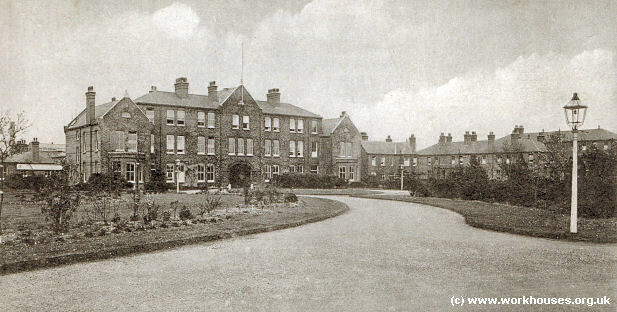 Joyce Green Hospital administration block, c.1910. 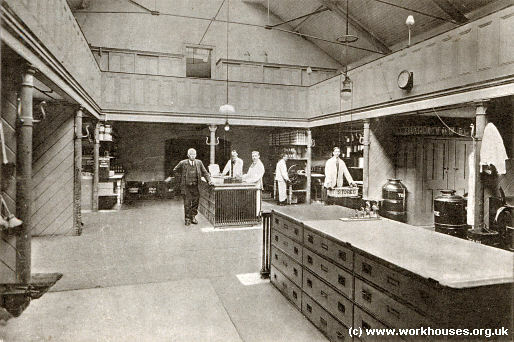 Joyce Green Hospital stores, c.1910. 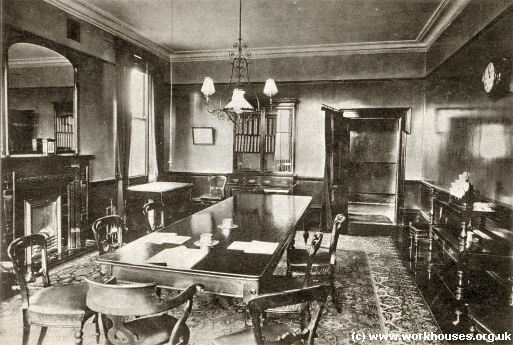 Joyce Green Hospital committee room, c.1910. Moving north from the administration block were a stores block, the main kitchens, the dispensary, a large laundry block, boiler house, and finally a workshop area around the water tower. 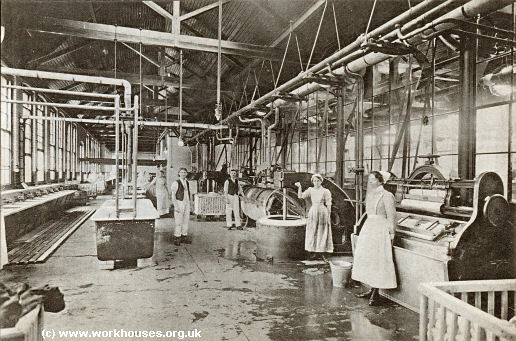 Beneath the laundry was a reservoir which could hold 150,000 gallons of water collected from the roofs of the hospital. The laundry itself was partitioned into two areas to keep the processing of infected patients' laundry separate from staff laundry. 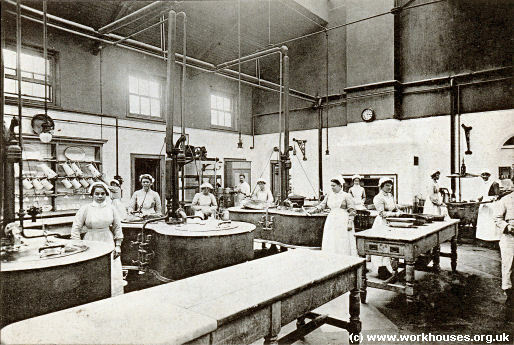 Joyce Green Hospital kitchens, c.1910. 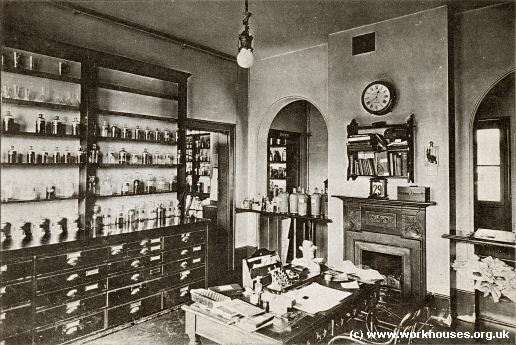 Joyce Green Hospital dispensary, c.1910. Joyce Green Hospital laundry — wash-house, c.1910. 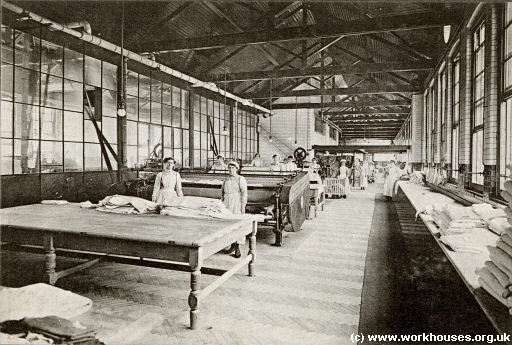 Joyce Green Hospital laundry — patients' ironing room, c.1910. The twenty-two ward pavilions were linked by covered walkways. 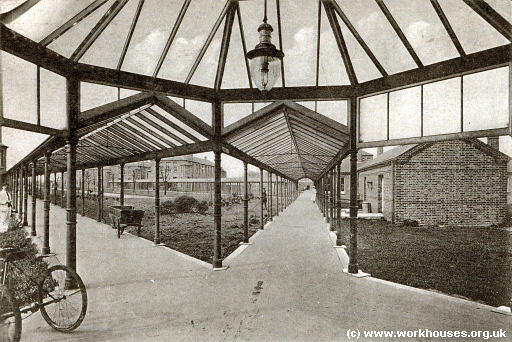 Each pavilion was two storeys high with each floor having an 18-bed main ward. At the entrance to each ward was a scullery/nursing-station, linen cupboard, bathroom, and small 2-bed ward for delirious patients. At the far end of each block, a sanitary tower contained lavatories and water-closets. Joyce Green Hospital north-east corridor, c.1910. 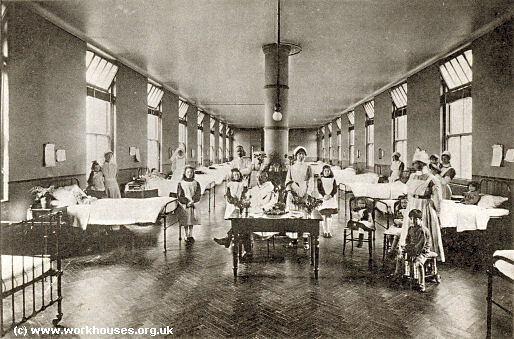 Joyce Green Hospital ward, c.1910. Two pairs of isolations blocks were placed at each side of the site, at the south-east and south-west of the main ward blocks. 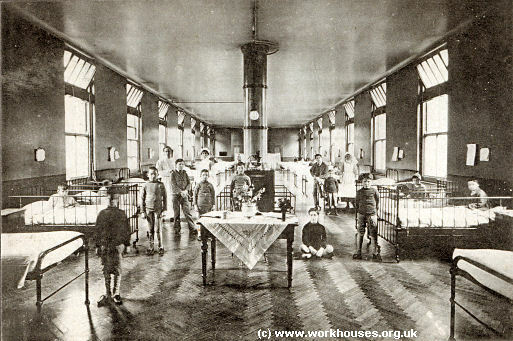 Each isolation block had a central two-storey section for staff accommodation, with a single-storey ward wing at each side holding between four and twelve beds. Joyce Green Hospital poultry run with isoltaion blocks in distance, c.1910. To the east of the administration block lay the Steward's house, male staff block, discharge block and chapel. To the west and south of the administration block were accommodation blocks for nurses and domestic staff. There were also three female dressing blocks for women and one for men. 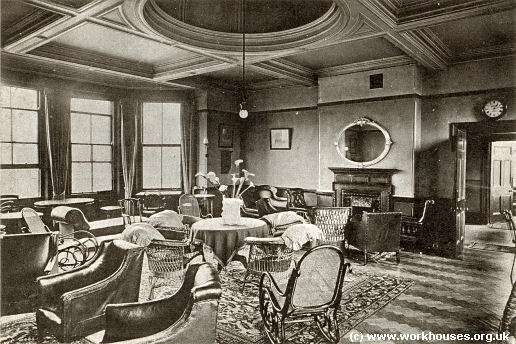 Joyce Green Hospital sitting-room in Nurses' Home, c.1910. 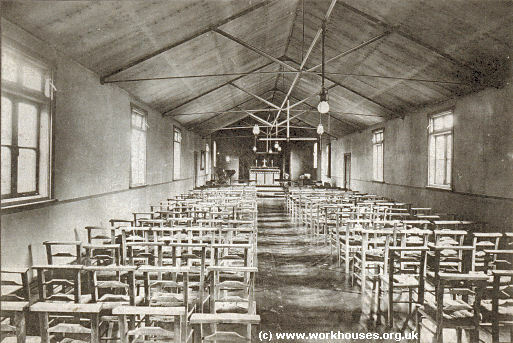 Joyce Green Hospital chapel, c.1910. At the south-east of the site were stables and a coach house. The Joyce Green's unique ambulance-tramway was used to carry both patients and also supplies delivered at the Long Reach pier or at the hospital main gate. The track, at its longest run extended 3.4 miles. Initially second-hand vehicles were used but in 1908 purpose-built ambulance-trams were introduced. The tramway continued in use until around 1936. Joyce Green Hospital ambulance trams, c.1910. 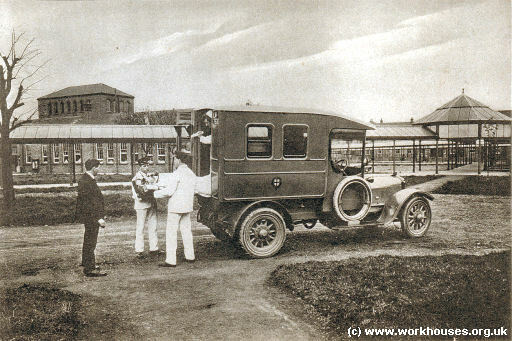 Joyce Green Hospital motor ambulance, c.1910. Following the general decline in smallpox cases after 1902, the Long Reach and Orchard hospitals were reserved for such patients. The Joyce Green took other infectious cases, with diphtheria and scarlet fever patients being admitted from 1907, and later taking measles and whooping-cough patients. In June, 1918, about 1,140 refugees from Russia arrived in England. As they had been in contact with smallpox, they were housed in isolation at the Joyce Green Hospital. From 1919 to 1935, an intensive programme of shrub and tree planting took place around the hospital. Electric lighting arrived in 1926. 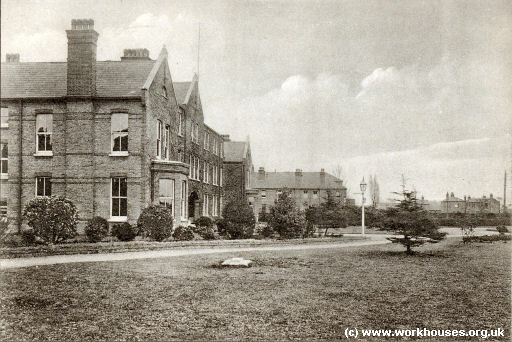 After 1930, control of the hospital passed to the London County Council. At the start of World War Two it became a general hospital as part of the Emergency Medical Scheme. From 1944 to 1946, part of the site was used as a Dutch military hospital. In 1948, Joyce Green joined the newly inaugurated National Health Service and continued in operation until September 2000. The buildings have now all been demolished. Joyce Green Hospital Revisited blog site.